Stay warm and snug in your shed this autumn and winter, by taking a look at our guide to heating your garden building. Here we detail all the best heat sources for sheds, including underfloor heating, wood burners, halogen heaters, and more. You can insulate the floor with foam insulation boards. Rockwool or fibreglass rolls in the walls and ceiling are ideal ways to stop your precious warmth escaping. Rugs and curtains will also help to contain your cosiness. The right heating solution depends on the size of your building, level of insulation, power sources, and of course your budget. Also bear in mind the overall style of your outdoor room: is there a particular ‘look’ or ambience you want to create? Once you’ve worked out your needs and priorities you can then turn your attention to the heaters themselves. We’ve found six of the most popular and practical heating options around. Which one’s best for you? Electric radiators are either water-filled and wall mounted, or oil-filled and free standing. Both types are simple to operate and have fairly low running costs. Portable units require no installation at all and can be used wherever you need warmth, right out of the box. Available in contemporary and classic styles, radiators are a safe choice for dusty workshops and log cabins. If you opt for a model with a 24-hour timer and thermostat, you’ll always be assured a warm welcome when you enter your garden building! They do give localised heat, though, so won't warm a large shed on their own. Fan heaters are easy to use, and provide instant heat. Just plug in, turn on, and away you blow! They’re energy-hungry, though, so to keep running costs down it’s best not to use them for hours on end. But they’re perfect for quickly heating smaller spaces, and are highly recommended for workshops. They circulate heat, so they don’t just warm you, they warm the whole space - and everything in it! There's a wide variety in sizes and styles, so if you opt for a fan heater, there’s bound to be something to suit your needs. Portable halogen heaters are powered by electricity but use halogen elements instead of traditional electrical coils to provide heat. They cost a little more to buy than some of their electric counterparts but are durable, highly energy efficient and cheaper to run. The latest models come with a number of safety devices as standard – including anti-fall security features – so they can be used with confidence in a workshop where you’re moving around a lot. Underfloor heating is ideal if you don’t have much floor space. Water-based or electric systems are available, the electric system is usually the most suitable for an outdoor building. 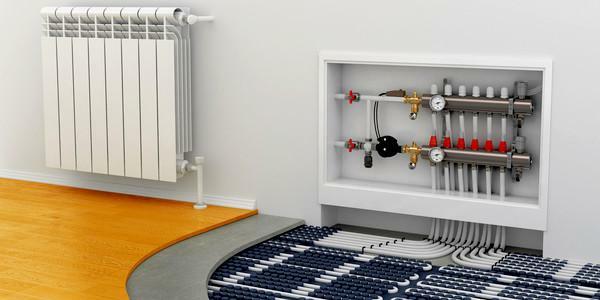 Installation costs are higher than free standing heating units, but underfloor heating gives an even heat to an entire room rather than just a localised spot. But be aware, if you need to do any maintenance work on this kind of heating, you may need to take up your whole floor. If you don’t have mains electricity in your garden building, why not use free solar energy instead? Solar panels on the roof can be used to warm water, which can then heat a small radiator. It's as economic and environmentally-friendly as you can get, and safe to use. Alternatively, you can use solar energy to provide your building with electricity, and use that to power one of the other solutions we’ve looked at. 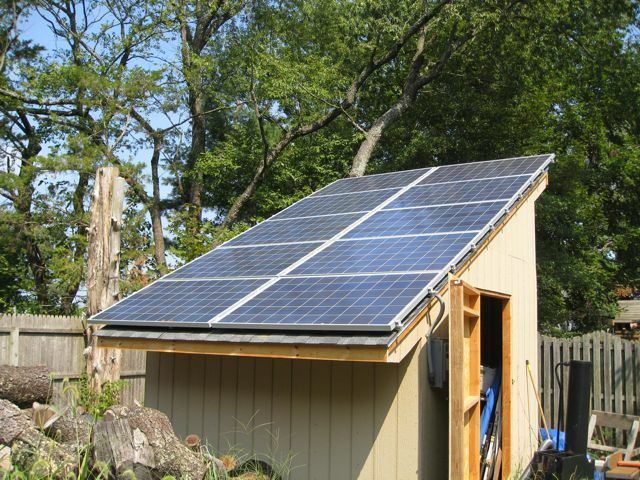 Check out our guide to powering your shed off-grid for more information on this. Log burners are a stylish addition to any timber cabin or year-round summerhouse. While they can be pricey to set up, running costs are low - especially if you live near a ready supply of free fuel! Make sure you use a HETAS professional to ensure the burner is installed correctly. A carbon monoxide alarm is also a must when you have a log burner. And remember to restock that woodpile so you’re never left out in the cold! A log burner can provide beautiful ambient lighting, too. But if you’re heating a workspace, be careful not to let those flames distract you from your work! There’s a wide range of heating solutions out there to suit all garden buildings, pockets, tastes and requirements. Always follow the safety advice for any product you use. With the right heater, you’ll be able to make the most of your outdoor den, hobby room or private studio whatever the season. How are you heating your garden building this winter? Log burner, radiator, or something even more imaginative? Share your pictures and tips with us on Facebook – we’d love to hear from you.